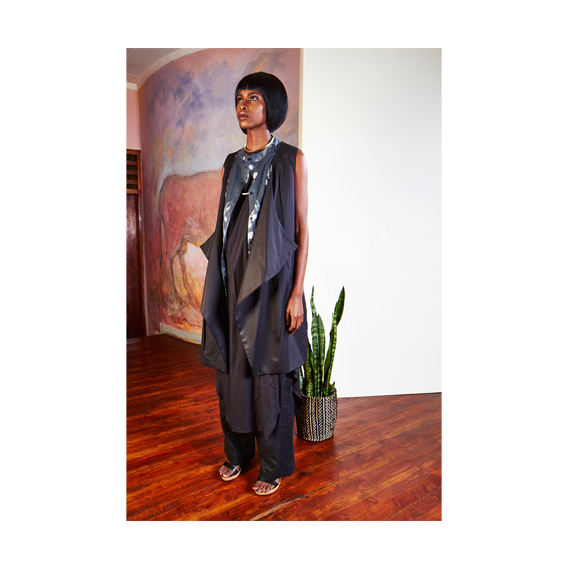 The current collection “People of the Taboo” is both ideologically and stylistically an organic progression from the deconstructed nomad inspired forms she has previously explored. 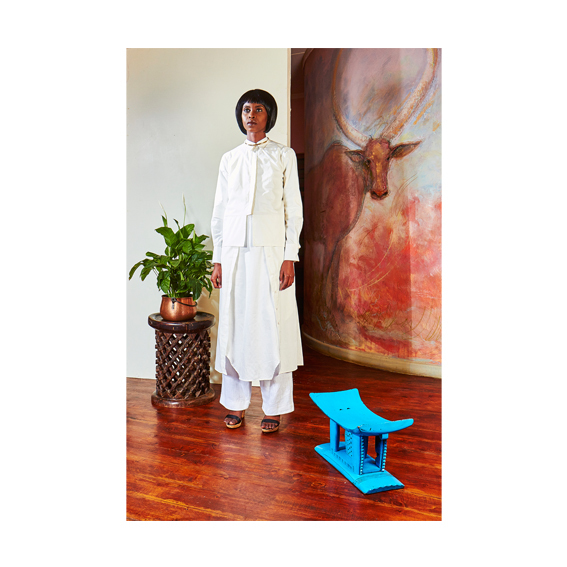 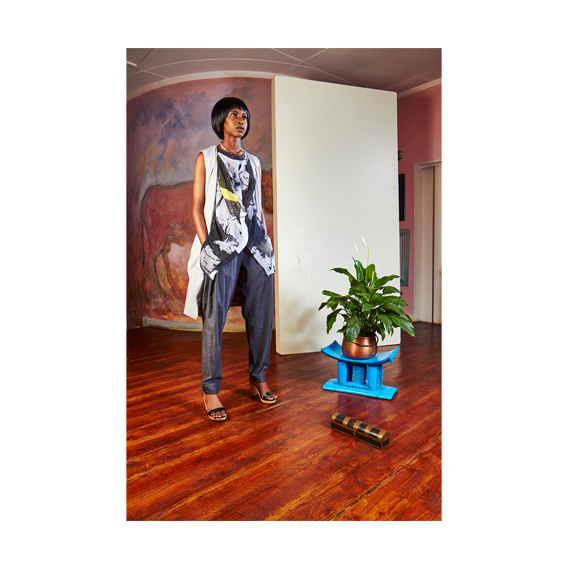 Her new oeuvre takes its main cues from the Wodaabe men of Northern Africa during the Geerwol festival an idea that is carefully crafted into her nuanced minimalist innovations. 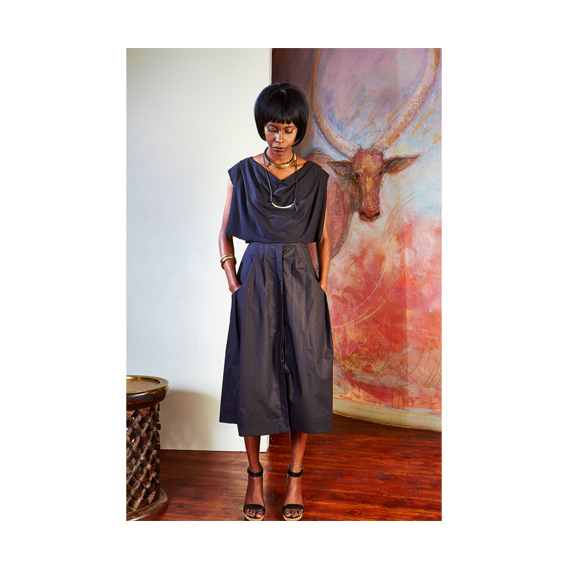 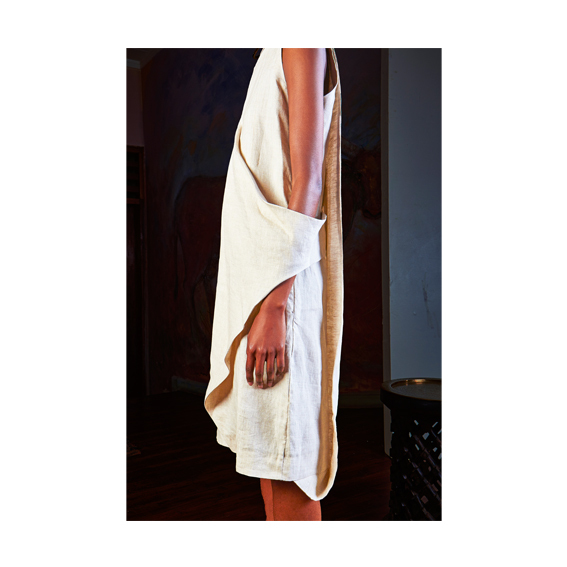 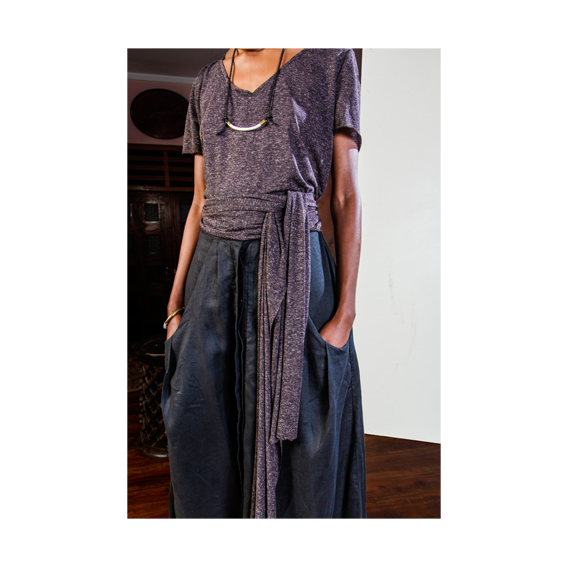 Soft structures are worked in linen and cotton blends into comfortable shifts dresses topped with tailored jackets. 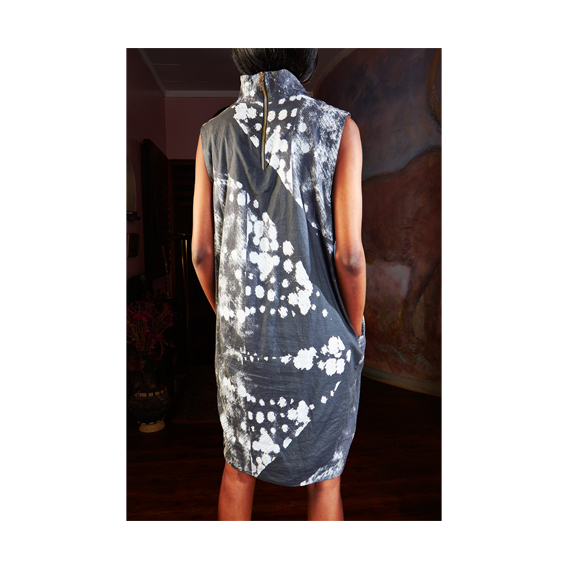 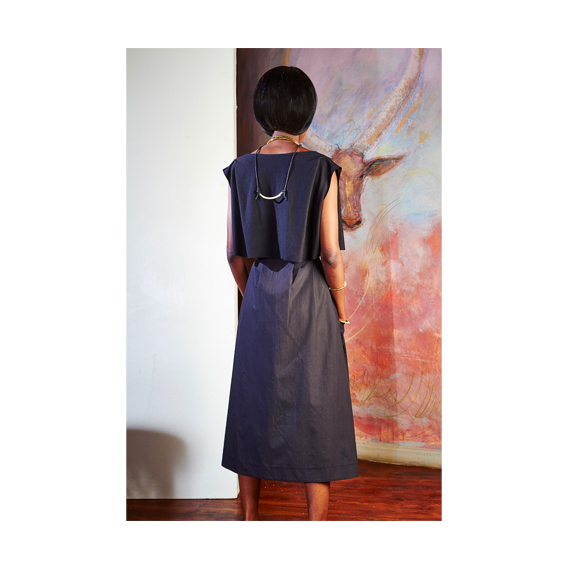 As with the shift dresses, the jackets are a post- modern incarnation of ethnic Dinka corsetry.